So… I do like video games. I’ve even managed to complete a few others before now. But video games will quite often go the same way as television series for me. I’ll start off playing, then go onto something else… then, by the time I come back to the game, I’ll have forgotten everything about it and will have to restart. This game was like that, but when I picked it up again, I decided that I was going to complete it this time. And as it turned out, I did – and faster than I’d expected to. 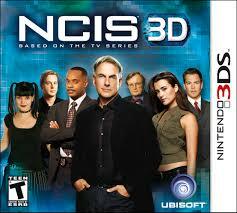 NCIS is probably one of my favourite shows, so I was really happy when I saw this game originally for sale and chose to buy it. I thought it was really cool to have the characters from the television show involved and although there was very little actually moving around, such as in explore-the-world games, I thought it was good how there was some computer-generated action, as well as just talking. I did feel that good use was made of the stylus in this game. There were quite a few good puzzles to complete to advance to the next stage. Although those were fairly easy in principle, some portions of it were timed… and there was one in particular where the requirement was to move squares on a grid and it told you the best moves. One of the games in a later chapter had a time limit… and I swear I lost on that because I glanced at the timer and took a couple of seconds to realise the timer was ticking down instead of up. I did feel that the portraits of the characters fit their appearances on the show, though not so much with the computer-generated action. I did enjoy the banter between the characters, though I felt that certain characteristics they had were over-used, such as Ziva’s penchant for using the wrong word in the show. Towards the end of the game, I did find myself more involved in the action. I felt the scoring idea would have been handled better if low scores had generated a reaction. As it was, an evaluation (which was pretty cool that it was done by the main characters) seemed to stay the same whether the score was high or low. I was a bit disappointed that interaction with the characters was dropped in that, most of the time, you had to ask set questions and didn’t have a choice. I also felt that some differences could have been made in the script depending on the gender of the character. With no pronouns, it seemed pointless to select a gender in the first place. Towards the end of the game, I found myself becoming very tense and drawn into the storyline. Although I did figure out the main bad guy early on, it was a fun and entertaining journey to get there. With more room for interaction and harder puzzles, this could be a pretty awesome game.